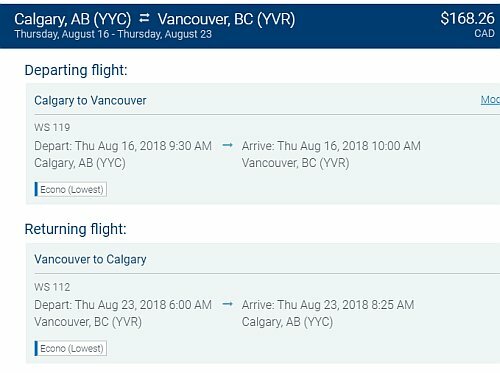 WestJet has dropped the price of their August flights from Calgary to Vancouver, BC down to $168 CAD roundtrip including taxes. Vice-versa flights (Vancouver to Calgary) are also available for $168 roundtrip. calgary, yyc, flight deals, british columbia, westjet, canada, vancouver, yvr, bc and north america. 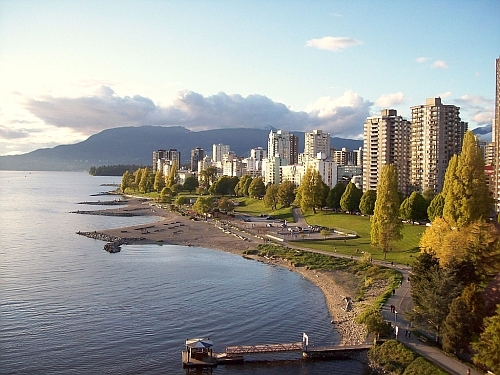 2 Responses to "Calgary to Vancouver, BC - $168 CAD roundtrip | non-stop flights (August travel)"
It's to compete with Flair... I say support the little guy if you can! Yep, on certain routes Flair has been a better deal than WestJet. It's great that there is finally some competition on certain routes within Canada! But on this route, I'd say WestJet is still a better deal than Flair. Flair's August prices may appear to be $158 roundtrip, but that's before the cost of carry-on is added in. With carry-on, their flights are actually about $218 roundtrip. WestJet's flights are $168 roundtrip (with carry-on included).